Special Education Needs and Disability (SEND) is the umbrella term for all school children who experience significant difficulties in learning in comparison to the majority of others of the same age, or hinders the pupil from making use of general facilities. SEND teachers work with children who need extra support with their learning, whether that be in a mainstream school or a school which specialises in particular SEND provisions. At Engage, we’re recruiting for enthusiastic and committed education professionals to work in both SEND schools and mainstream schools as SEND Teachers, Learning Support Assistants (LSA) and Teaching Assistants (TA). 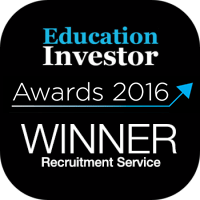 Our specialist SEND consultants have over 15 years of experience recruiting extraordinary teachers for special needs schools. We understand the complexities that Special Education Needs and Disability (SEND) schools have and the impact these schools have on students not just in the classroom but in the students’ daily lives and futures. Working with students who have special needs and disabilities has its own unique challenges but is also uniquely rewarding. When you embark on your SEND teaching journey, you’ll spend more one-on-one time with the children you teach, and experience the joy of having an impact not only on their education but also on their future outside of school. All our teachers are subject to a comprehensive vetting process that ensures they meet both Department for Education (DfE) and Quality Mark standards before being considered for any role in an Engage Education partner school. We know a teacher is always developing and facing a variety of challenges. That’s why we offer free ongoing support to all our teachers through a range of Continued Professional Development (CPD) opportunities. Is SEND Teaching for you? To work as an SEND teacher in a local authority school, you’ll need to be a qualified teacher with mainstream teaching experience. You’ll also need to foster a creative attitude towards your teaching in order to find ways to effectively stimulate your pupils’ learning and development process in accordance with their individual needs. If you are an experienced teacher with QTS, and have great communication skills, patience, a calming nature and an enthusiasm to shape the lives of vulnerable children, we want to hear from you! We work with fantastic SEN schools and mainstream schools looking for teachers to support their SEND pupils. People from all walks of life can make a difference working with children who have special education needs or disabilities. You don’t necessarily need any prior experience of working in SEND to transition to this rewarding career, just a creative and positive state of mind! We have both full- and part-time positions in schools which need extra support for their SEND pupils. Becoming an SEND support assistant is a great avenue for new graduates looking to explore a rewarding career with children. Our qualified Team Teach trainers are available to train you on de-escalation strategies and physical intervention, so you feel confident in any setting or scenario. "My introduction to the world of working with Autistic Children was through Engage, I cannot describe how helpful and how much confidence my Engage consultant gave me through her transparency, wealth of information and sheer availability. Any problems I’ve had (which were very few) my consultant went above and beyond to help and in each individual case was resolved by the end of the working day if not sooner." 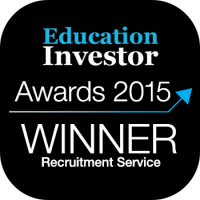 "Our consultant has supplied our school with teachers and TAs for ten years and always delivers. She is always upbeat and positive and is a pleasure to work with; thank you!" "I have never worked for an agency before so Engage was my first, I would absolutely recommend joining Engage education as it has been the best experience for me starting from my application to landing a job and all thanks to my consultant . She has been and still is nothing less than one of the most helpful people I have ever met. I was so nervous getting my first job in an SEND school and she made sure to make my experience during interviews and trial days as enjoyable as possible."